I’m sorry for not updating the blog sooner. I originally planned to update more frequently, but other events in my life have been pulling my attention away from Yandere Sim. I’ve still been making progress at the game, just not at the same speed as before. I’ve got some new features in. They’re not particularly exciting, but they are proof that I’m still working on the project. 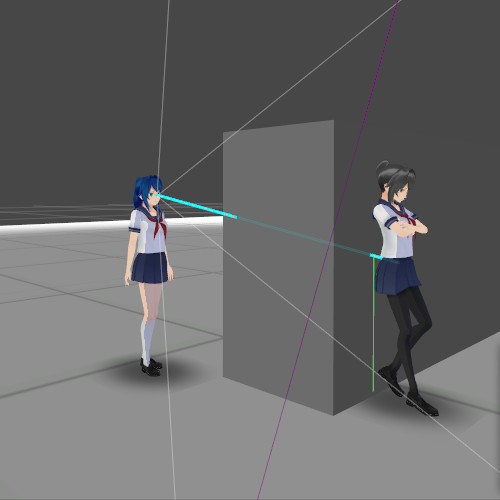 Here, the NPC confirms that Yandere-chan is in her cone of vision, but fires a raycast to obtain direct line-of-sight, and determines that Yandere-chan is hiding behind a wall. The NPC takes no action. 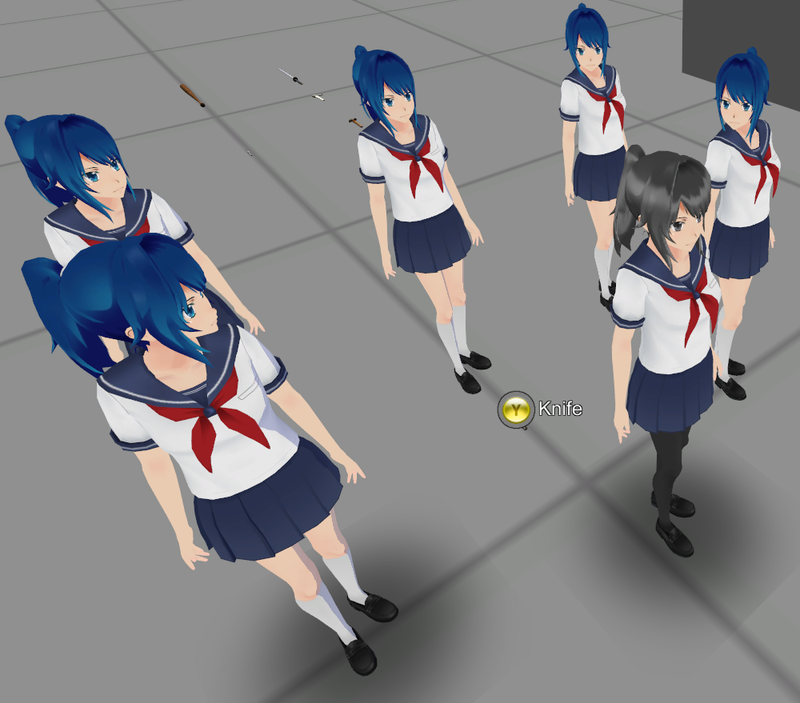 When Yandere-chan is nearby other NPCs, they turn to face her. When Yandere-chan is armed and nearby an NPC, a button prompt to attack that NPC appears. When Yandere-chan attacks an NPC, their facial expression changes, and they raise their hands in defense. After killing an NPC, they turn into a ragdoll. NPCs should have a “fear meter” that increases when Yandere-chan is holding a weapon. The closer Yandere-chan is to the NPC, the quicker the fear meter will rise. A maximum fear meter will cause the NPC to run away in fear. Scaring an NPC causes them to spread nasty rumors about Yandere-chan, lowering her reputation at school. A low reputation will cause other NPCs to be wary of Yandere-chan. They will keep their eyes on her when she enters a room, making it more difficult to steal things or get stealth kills. If Yandere-chan’s reputation hits rock bottom, Senpai will never love her, and it’s Game Over. 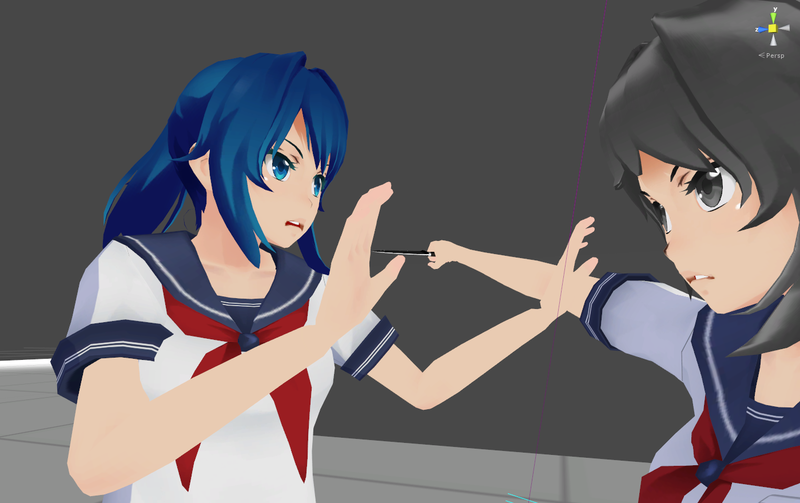 When an NPC is scared of Yandere-chan, they will be expecting her to attack them, so they will put up a struggle if attacked head-on. They will still die, but they will scream upon their death. When other NPCs hear a scream or another suspicious sound, one of them will walk over to investigate the source of the noise. If an NPC witnesses Yandere-chan committing a murder, they will run away from Yandere-chan until they reach a safe distance, take out their cell phone, call the police, and name Yandere-chan as the murderer. Once the police are called, they will arrive within 5 minutes. Yandere-chan has that amount of time to kill the witness, hide their body, and dispose of any evidence of her murders. If she successfully removes all evidence that a murder took place, the police will assume that the call was a prank. If a body is discovered and/or the witness is still alive, but there is no incriminating evidence, the school day will end, and Yandere-chan will be interrogated for the rest of the day. If any incriminating evidence is present, the police will arrest Yandere-chan, and it’s Game Over. With no evidence, she can’t be arrested. Yandere-chan should be able to pickpocket other students’ cell phones. This will prevent them from calling the police. Yandere-chan can also send text messages from a student’s phone in order to impersonate them. 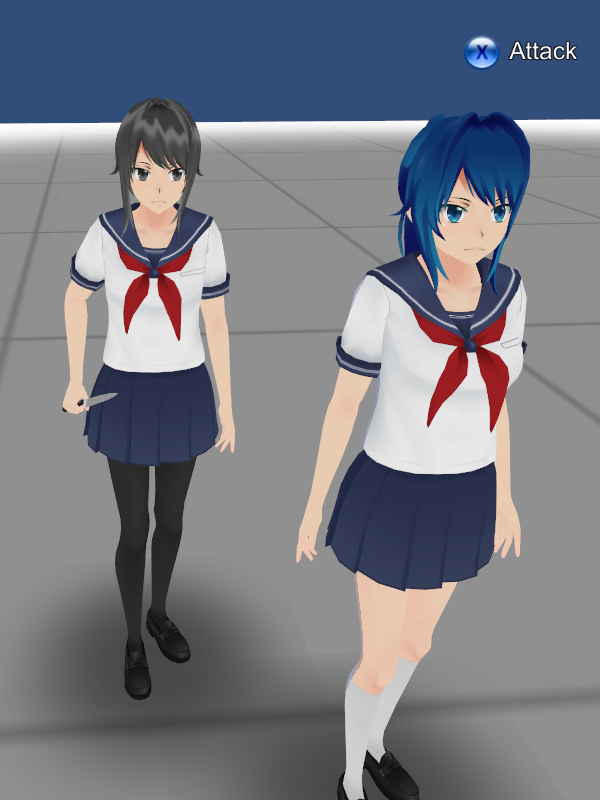 A student with no cell phone who witnesses Yandere-chan commit a murder will attempt to run out of the school, and warn other students about Yandere-chan as he runs past them. The student will run to the police station and give his eyewitness testimony to the police. The police will then head over to the school. A student who finds a dead body or a pool of blood will inform the police. The police will then head over to the school to investigate. Whenever the police arrive at school, the school day instantly ends, and the game continues on the next day. Blood should shoot out and make a puddle when Yandere-chan stabs an NPC. Yandere-chan should be able to drag dead bodies and dump them into hiding places. The blood should make a trail to the body. What do you guys think of these features? Please let me know in the comments below. How do you think these components of the game should work? How should students react to the various things they can witness or discover? How would you design it? Good to know you’re still working on this. It all sounds wonderful, but I worry about the time it’ll take to implement all of these features. That being said, and like I said, it sounds wonderful. A Hitman/Bully hybrid. Speaking of Hitman, you should have the demo be the tutorial level, like Blood Money did. I also have some ideas that you might like for the story, especially concerning Reporter-chan, if you would like to hear them. Sure! You’re welcome to e-mail them to me at yanderedev@mail.com, or post them in the thread that’s going on right now. I want play this progress!!! Sounding pretty good if you can get it all implemented. Blood trails will definitely add some difficulty to the game when taking the simple murder route of “stab a ho in the neck” and give good reason for finding less messy ways of murdering someone. Will NPCs have personalities of their own? Will they play a role in interactions or reactions with/from the player? For example, say NPCs have different amounts of bravery, and in the example in number 5 perhaps only the brave ones will check out the noise, or maybe the kids who heard the scream aren’t brave enough to check and leave the player free to get away. Perhaps an NPC’s level of fear should rise when they hear a scream, or see a body. This can lead to some fun games of fear for the player when certain kids stand between them and Senpai, similar to the dark brotherhood quest in Oblivion with the mansion and contest. Could you make it so that if you get a “Game Over” from hitting rock bottom with your reputation, the game doesn’t automatically stop completely and instead lets you continue to play (but you can’t finish the level and have to restart to continue). That way, if you completely fail, you can go on a murderous revenge rampage on everyone in the entire school as your consolation for never being able to achieve Senpai’s love. Agreed. Some of the most fun I’ve had in the Hitman games is when I’ve gone berserk and tried to kill every NPC. Have you thought about how some NPCs might be skilled in fighting and how they could protect themselves against a frontal attack? If there was a girl in the judo club that is trying to gain senpai’s attention, maybe she’d be a little tougher to kill. There should be a chance that a witness will attack you because I’m sure there would be people who would try to attack someone who just murdered their best friend, especially as the murderer is only a school girl whose weapon wouldn’t be very dangerous without surprise (e.g. a screwdriver). Could you link me to where you got them, please? I need to know, What did you think of my idea of the loveletter system that I commented about in one of the previous blogs, and if you would add that in the game. 3. One of the targets may have an over-inflated sense of self-worth because she constantly gets love letters from guys. Open her locker and steal the love letters, and she will become distraught and distressed because she’s upset that nobody loves her anymore. 4. Flood a girl’s locker with love letters, making her think that she is popular. She thinks she’s too good for Senpai, and stops aiming for him. Or, were you suggesting another type of idea? I think an Aya support character, as we’ve discussed, would help with that (1). She won’t know EVERYTHING, but would love to dig up dirt on other students, and might help guide you towards students that may fit that criteria. It would be something that she would help out with. Have you considered Yandere-chan getting blood on her clothes and skin? Or maybe the smell of blood itself? Any plans for clubs you can join? Like a newspaper club that would make people less suspicious of you gathering information from them on targets, student council that would give you info on targets or sports clubs to increase your strength and agility? Not sure how possible this would be but from the ideas floating around so far it seems like the sky’s the limit. If the camera is implemented, then the newspaper club would be the ideal club to have – Aya could then take Yan-chan under her wing, and Yan-chan would have a legitimate reason to carry a full-fledged camera at all times. Legit reasons to go around taking pictures of students, gathering info on them. That could make it almost mandatory to put Yan-chan in the Newspaper club. Why would Yandere-chan even need a full-fledged camera? 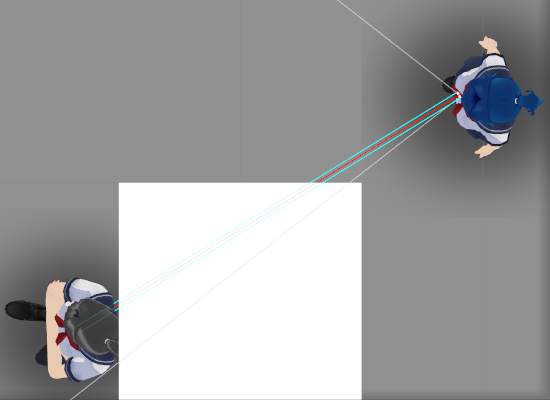 Well, Z, as you can see in the early states of the game, including the first shots and the youtube video, the camera is going to be a factor – taking pictures of senpai as well as targets. The camera is a part of the game. Maybe a full fledge camera does better? Maybe in the newspaper club, you could write slanderous and reputation downing stories about some of your targets. It’d require a good writing skill and some level of credibility. But nobody’s going to believe Yandere-chan if she has a low reputation in this case. Or if it’s known that she’s done something suspicious relating to the story? Maybe the NPCs could have memories, huh. Looking forward to the end product! I think we should keep the scope of the game in mind when suggesting ideas. Some of the things I’ve seen suggested seem a bit lofty for one developer to implement on their own, though I can’t say for sure. A lot of interesting ideas, and though Yanderedev seems to realize this, it’s important to keep in mind that feature creep is real and can bog down and kill small projects. I love the ambition and it seems grounded most times, but rather than continuing to suggest overly-complex and unnecessary systems, I think there should be more focus on solving simpler design questions and founding the feel and main mechanics. There are already an impressive number of complex features planned, and additional mechanics that seem to fall outside of the core of the game, such as the newspaper idea and clubs, can easily be tackled when the game has become less nebulous and can be explored without threatening to influence the foundation negatively just to accommodate them. Being able to take other students’ cellphones could be important to ensuring they aren’t considered missing to the point of concern. Perhaps a student never returning to class from lunch, but responding to their cellphone, would just be considered truancy and not make anyone suspicious until the next day, by which time the student’s parents would be looking for them and, with modern phone track down services, the stolen phone would have to be ditched. This or some other limit would have to be established, and how should maintaining other students’ cellphones be implemented? Should the player have the option to actively send a message to an npc to, for example, ask them to go somewhere to meet up? Should that be the only active option, or can others be implemented without being unnecessary? Being proactive with a phone aside, I think the player should have to at least respond to messages they receive, perhaps through a simple reply button (similar to the game Digital: A Love Story, if anyone is familiar). Perhaps, pending implementation of a, preferably simple, skill system, the limit on impersonation is the number of replies the player can convincingly make. A popular student may receive many more messages than the average student and would be discovered much more quickly. A normal student would not be considered missing until that night, so long as the few messages they received were replied to. What limits should there be on pickpocketing phones, when can you do it, can some students not be pickpocketed, and how many can you have? Is there a reason to limit that, and will it detract from what the focus of the game should be? Letters, cellphones, these should be tools, but I think they shouldn’t always work in every situation. I agree strongly with everything in your first paragraph! I don’t think that stealing cell phones needs to be as complex as you’ve suggested; I think that if a student has been killed, the school will automatically assume that they are truant for the rest of that day, and they won’t be considered a missing person until the next day. I don’t think that the other students should get concerned before that point. Good point about ditching cell phones, though. Yandere-chan should automatically dispose of any cell phone she leaves school with, before returning home. As for options with a phone, “Send nasty message” and “Ask to meet up” were the only two options I had in mind for using another student’s cell phone. You can pickpocket anyone as long as they’re not facing you, nobody else is facing you, and you hold down the pickpocket button for several seconds straight. I suppose I’ll ask, in a future thread, if people think that Yandere-chan actually needs limitations on cell-phone carrying. I personally feel like the number should be infinite. I think that answering text messages from students is one of those “feature creep” ideas – sounds cool, but doesn’t sound necessary, doesn’t add enough to core gameplay, and isn’t something I should implement while core mechanics aren’t done yet. I don’t think that cell phones detract from the focus of the game, unless I start loading them up with countless features. 1. Can prevent other students from being able to call the cops on you 2 seconds after seeing you commit a murder. 2. Can be used to ruin a student’s reputation. 3. Can be used to lure a specific student to a specific location. In the case of “Why not just push everyone off the roof?” it’s because the school puts gates around the edges of the roof after the first time a student falls from the roof. In the case of “Why not just make everyone slip and fall down the stairs?” it’s because after the first time a student dies from falling down the stairs, all other students become paranoid about stairs and will be vigilant around staircases from then on. So, in the case of “Why not just ruin EVERY student’s reputation with nasty text messages?” I think that after it happens two times, students will realize that this is too much of a coincidence to happen twice, and that some-one must be stealing cell phones and sending nasty messages. You can fool them once, but you can’t fool them twice. Of course, this raises even more questions, like “What if you push a student off of the roof, directly into a dumpster, so nobody has a reason to think the roof is dangerous?” or “What if you push someone down the stairs and hide the body before they are discovered, so nobody has a reason to think that stairs are dangerous?” I’m still trying to think up the answers to those questions. Alternate idea: This school is extremely strict, and doesn’t allow students to carry cell phones, believing them to be a distraction and detrimental to education. Bam, now I don’t have to worry about students using cell phones to call the police 2 seconds after witnessing you, or implement pickpocketing features. Do you think that’s a reasonable thing for a school to do? >This school is extremely strict, and doesn’t allow students to carry cell phones, … Do you think that’s a reasonable thing for a school to do? Banning mobile phones is common in schools so while it is “resonable”, mobile phones are an interesting gameplay element. Interesting gameplay should trump realism. But speaking OF realism… I wouldn’t even consider it to be a realistic reaction to make a phone call 2 seconds after witnessing/discovering a murder, one would run to safety first. Or even just run to tell a teacher. The player character should have a minute or two to silence them. Love the feature list. Be sure to implement (moppable) bloody footprints if the player or an NPC walks over a pool of blood and the appropriate NPC reactions to seeing them. Pushing someone off a roof would be loud and the stars would have to align to prevent someone from seeing as they fall past windows. It might be pretty easy to get the actual kill without getting caught, but difficult to cover up. If you drive a character to suicide with some social method and they choose the roof of their own accord, obviously the roof would be locked up immediately. To be honest, if a player managed to get a target to land in a dumpster and no one saw or heard, that might be a feat worth rewarding by not locking up the roof, pending how difficult that turns out to be. If I had to suggest a solution in general, I would say that if a coverup is completely successful there isn’t really a way to prevent the player from using the same method twice early on. While a direct correlation to a student death might prompt immediate mitigation by the game world, as deaths continue the school or students may become more wary of things that aren’t directly related. In reaction to a series of deaths, the school may lock the roof up even if nothing happened there. In a state where the player has caused a lot of chaos and not completely cleaned up their kills, they might even cancel club activities, post teachers on watch, or hire a security guard (just brainstorming, you get the idea). A ban on cellphones is not out of the question, and perhaps playtesting with and without later on will be a better way to answer that question. Yandere-chan would have to carry around a camera to facilitate the awesome corkboard feature, etc. Perhaps part of marking your target is observing whether they heed the rules or carry a cell phone regardless. It may also be worth considering if it’s fun to have to deal with the possibility of a random student calling the police within seconds, depending on implementation it could be completely annoying and frustrating. A question. Given the well-known tendency of yandere characters to kidnap their loved ones, should this not be an option to avoid Game Over if Senpai-kun becomes horrified? Obviously, if he escapes and tells the police, then you’re arrested, but if you can keep him caged up without anybody sniffing out the truth… maybe with a victory condition of keeping him long enough, under the right conditions, to induce Stockholm syndrome? I’m not really sure what the gameplay would be like. After kidnapping Senpai, there would be nothing left to do at school. What would the game be like after that point? Stay at home, take care of Senpai like a pet? I’d like to stick to making a stealth game. 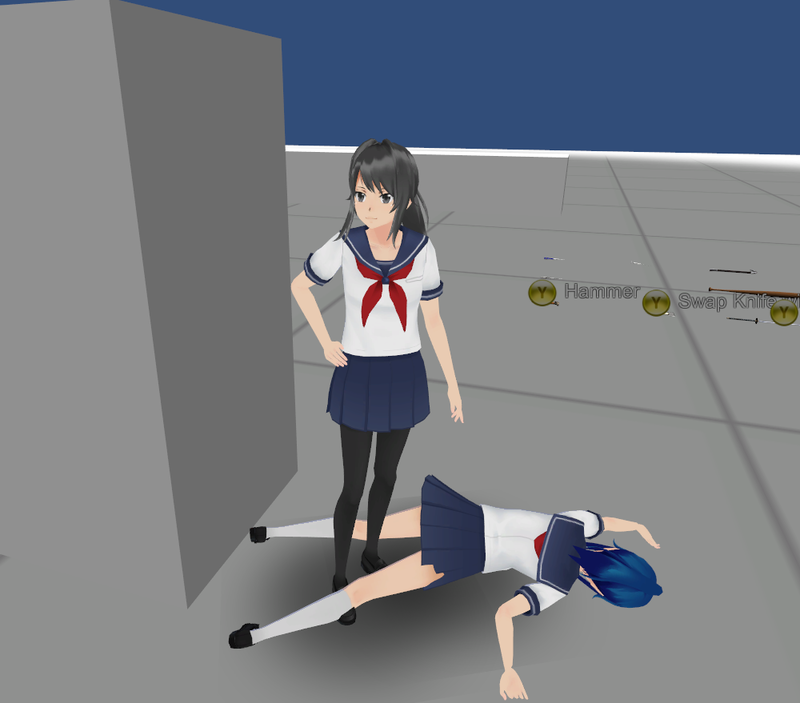 When the final yandere simulator game will finished?